Imagine if the story of the stork delivering the baby was true. When I was young, kids’ TV shows didn’t dare mention, or even allude to, the real method of conception and delivery. Instead, we saw the image of a stork delivering a baby, perhaps unsuspectingly, to the happy couple. “The baby’s here, now what?” Imagine that. Prior to the arrival of our first-born, by the conventional method of course, there was much preparation for this newest family member. We made initial plans and preparation for the responsibilities ahead – bought supplies, furniture and the enormous amount of equipment that the small person apparently required. When he arrived we muddled our way through. As time went on we adjusted our plans and expectations, however, the months of preparation were essential. This baby was going to change our lives. It definitely wasn’t a matter of ‘business as usual’ once he arrived. Like any great idea, plan or endeavour there is a point of conception, when the idea was first formed. I have heard anecdotal accounts of teachers arriving for the new school year, finding walls down and shared learning spaces created. It didn’t end well. Just like prior to the arrival of a baby, there are significant preparations to be made. The role of the team/school leader is to simultaneously listen and respond to concerns and to reinforce vision and direction. 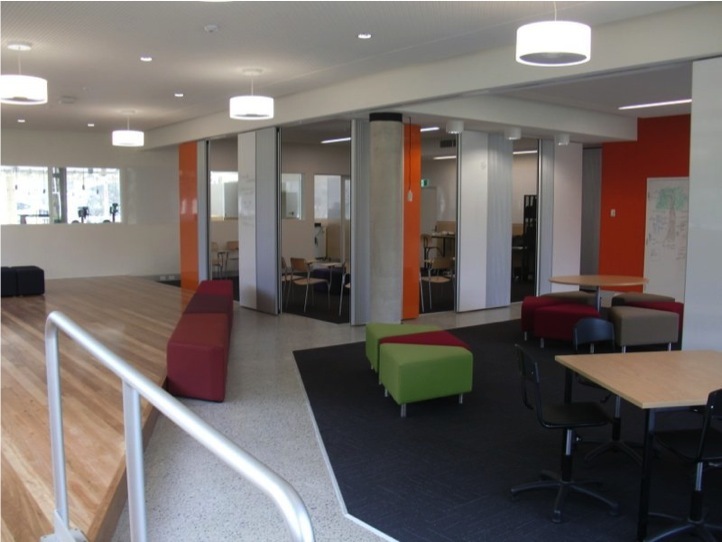 At Northern Beaches Christian School shared spaces for learning are constantly being developed. In 2008 it started with Year 7 in the Global Learning Village, 2010 with The Zone for Stage 3 and Year 8 Quest for an integration of Science and Geography. Over the past few years the idea has spread across primary, to maths, design, technology and music. If you truly believe that opening and sharing learning spaces are the right thing, then stick with it. Listen to concerns, respond to them, be empathic and supportive, while simultaneously resolute about the decision. A sledgehammer to the walls is only the first step. Unless the physical environment is carefully crafted the space will more than likely default to a modified single cell use. Name and define zones within the open space. Be clear on how the space will be used. Communicate it and communicate it again. Share stories and paint pictures. Spark excitement and enthusiasm. The more that the leader talks about the changes the better. 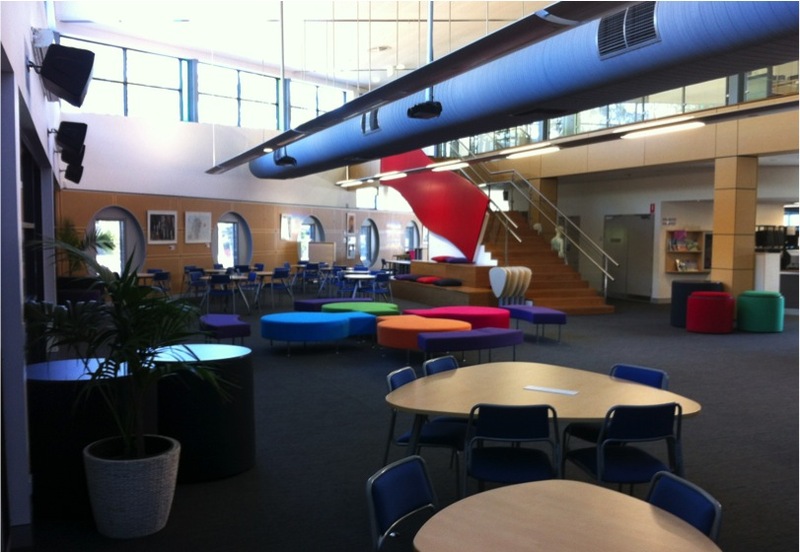 Once staff and students start using the space adjustments will be made. This is normal. The vision remains clear, but execution needs to be tweaked. As a leader, be involved in all these discussions. It is important to keep the vision clear. Opening spaces for learning is definitely not a ‘business as usual’ activity. Like the passing of time between conception and delivery of a baby, preparations for this ‘baby’ needs to commence as early as possible. School leaders not only need to fully own the decision, but give teachers the support and encouragement for the idea to grow and mature. As we think about what type of learning spaces are needed in our College it is important to remember these fundamentals. We have experimented and given staff a look at different types of configurations for possibilities. Unfortunately the default is generally rows and a focus on the whiteboard. No matter what ways the rooms are set out at the start of the day you can guarantee that by the end they will be looking like they did in the 1960’s. 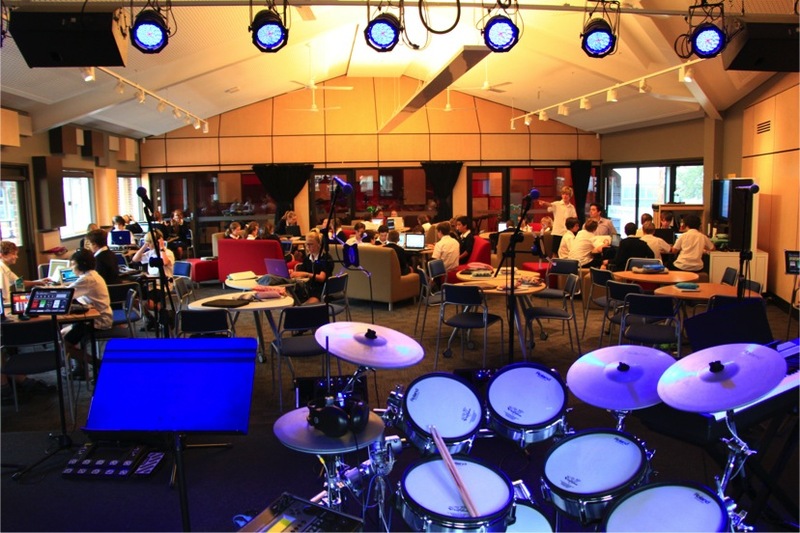 I have blogged about this before expressing great frustration at the little our spaces have developed compared to some of the great learning experiences happening in the College.